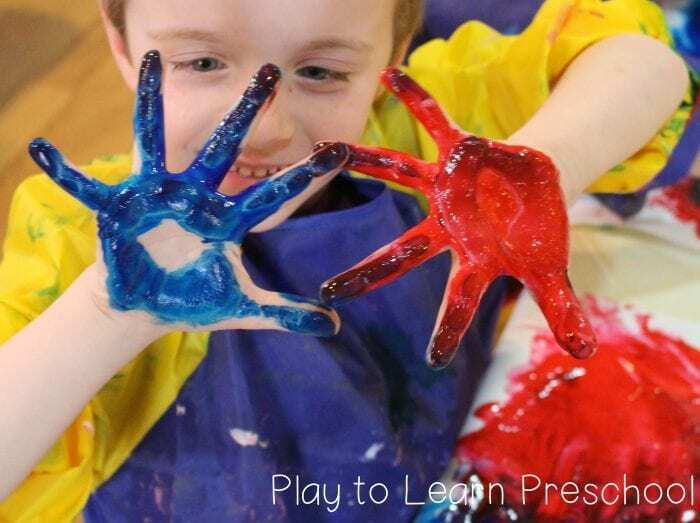 Preschool is a fantastic time for hands-on learning. 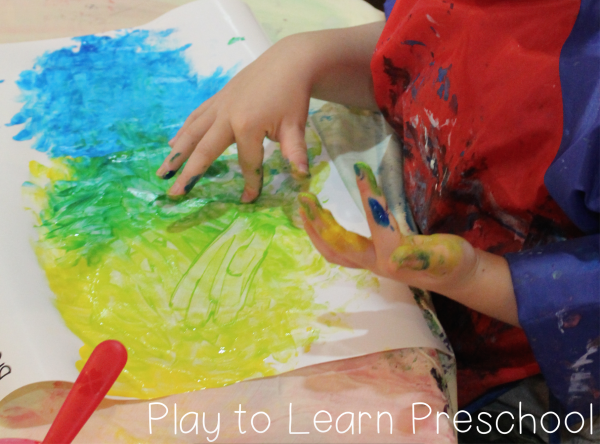 And nothing is more hands-on than finger-painting! 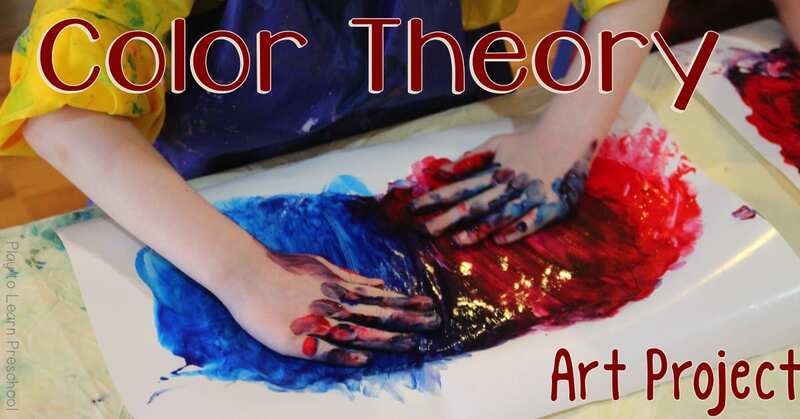 Part science project, part artistic expression, and part sensory experience, this activity gives students first-hand experience with the science of color theory. Art smocks are a must. It’s best to not have to worry about the mess. 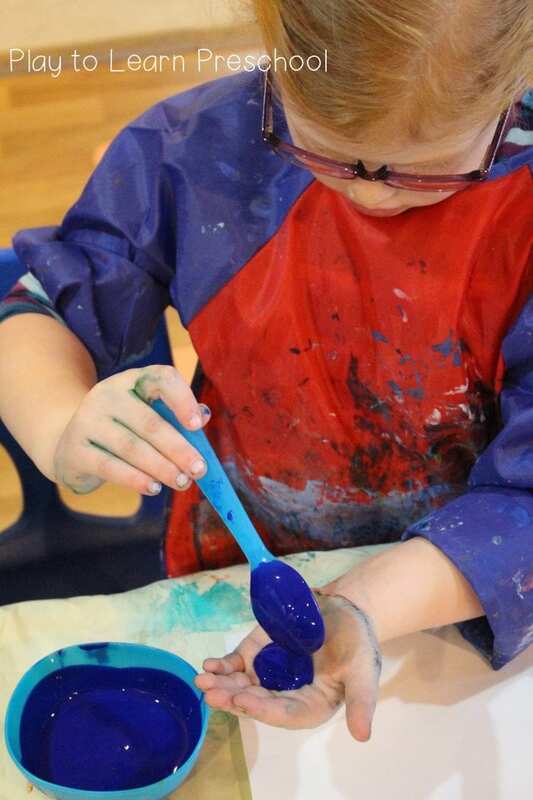 Providing sturdy bowls of primary colors helps promote independence and allow the students to freely choose and experiment. 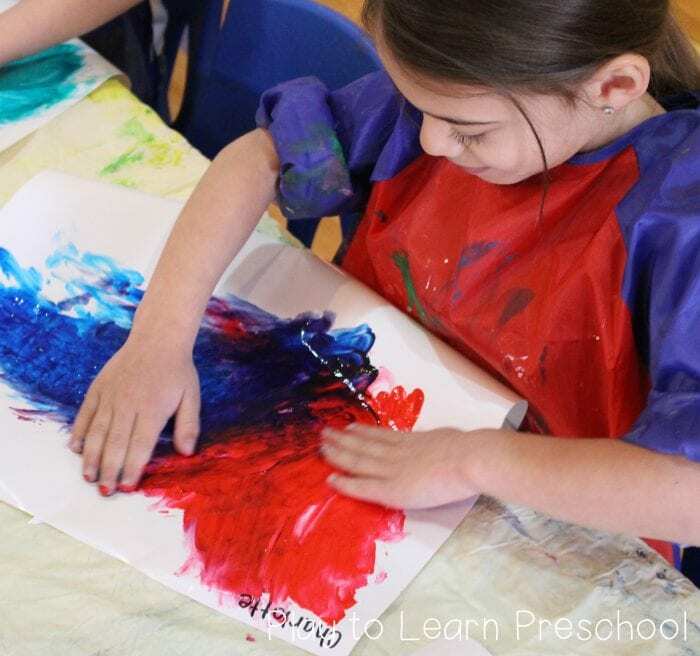 Specialty finger paint paper has a resilient nature and can help prevent frustration from tearing due to oversaturation, but in a pinch, regular construction paper will work as well. If you are particularly brave and don’t mind the clean-up, this activity also works directly on the table. Invite the students to select two colors. They can put the paint directly on each side of the paper, or in each hand. Ask them to make a prediction on what color they will create when they mix the colors. Finally, encourage them to mix the two colors slowly and see what color happens when the two colors touch and mix. Apply the paint to the paper using a spoon, fold the paper in half, and press down on the paper to mix the paint. Students can also experiment with proportions. What happens when a tiny bit of red is mixed into a whole lot of yellow? How can we make a color lighter or darker? What happens when all three colors are mixed together? 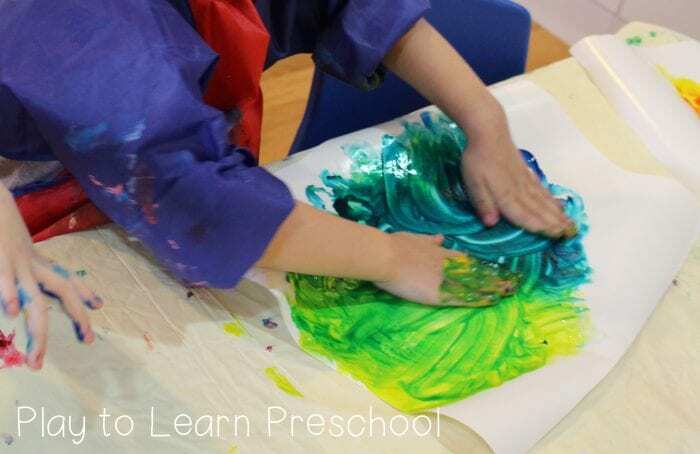 Have fun getting messy and learning! Get parents in on the fun by sending home these printable cards! 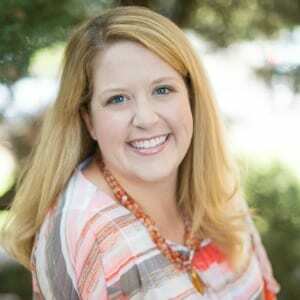 Looking for more to do with Color Theory? Check out this light table activity! Fine motor skills are fine-tuned with this eye-dropper activity! Mix it Up by Herve Tulleton is an excellent way to introduce the topic before the art project.